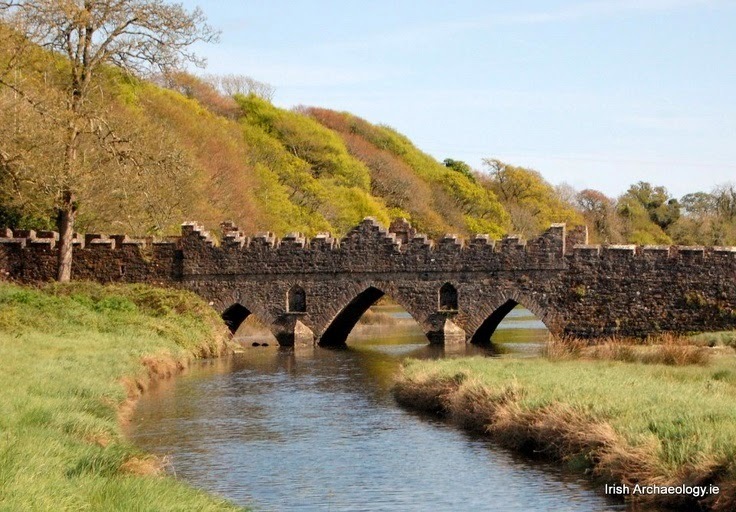 Over on IrishArchaeology.ie, they take "A rare 16th century bridge at Tintern, Wexford." See more here! It was was report last week that David A. Trampier passed, and it was mentioned on this blog, but there have been some very nice tributes to Trampier and his talent, so I though I might take the time to point them out here. Stormbringer of the Vintage Role Playing Games group on Facebook fashioned a cover picture that is as beautiful as it is simple. A little over a year ago, some information on the reclusive (at least as far as the gaming scene was concerned) Trampier was collected on the Skyland Games blog here. But since his passing many gamers and game-related sites have weighed in on the influence Trampier wielded on gamers from the very early days. One such remembrance was from Eric Fabiaschi on his Swords & Stitchery blog here. So, too, the good folks at The Castle's Ramparts looked at Trampier's legacy here. Tor.com mourned with the rest of us here. Finally, Bleeding Cool had something to say on the matter here. It's sad that he passed even though he hasn't been involved in gaming for quite some time. Over on moebiusadventures.com, there is a fun article titled "Ten NPCs You Bump Into In A Crowded Tavern." Read more here! One of the most fun parts of Dragon Magazine growing up was the comics sections and a great highlight of reading those funnies was enjoying Wormy. But Dave Trampier was just as influential in sparking GMs in setting creation. 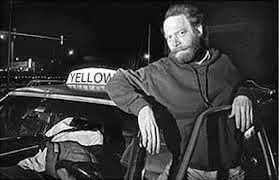 Sadly is was reported earlier this week that Dave Trampier has passed. The following is some of his inspirational artwork. 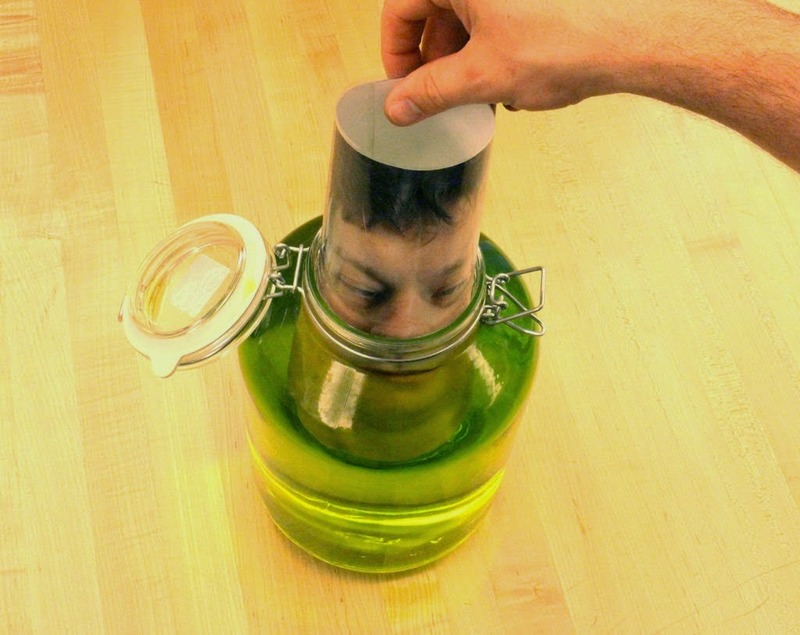 Well, even if you cannot translate the page, this Head-in-a-Jar prop doesn't look too tough to make for your gaming table or Halloween. See more here! Over on Distractify.com, there is a wonderful pictorial on "33 Unbelievable Places (. . .)" that jumps off the screen with each and every photo. Seriously, every photo was inspiring to add them to some adventure or setting (for a tabletop RPG or other gaming). I'll expound here on a few (Nope, I'm not just cherry-picking the best ones!) but you need to check these out for yourself here! My reaction on seeing the formation tends to run along these lines. 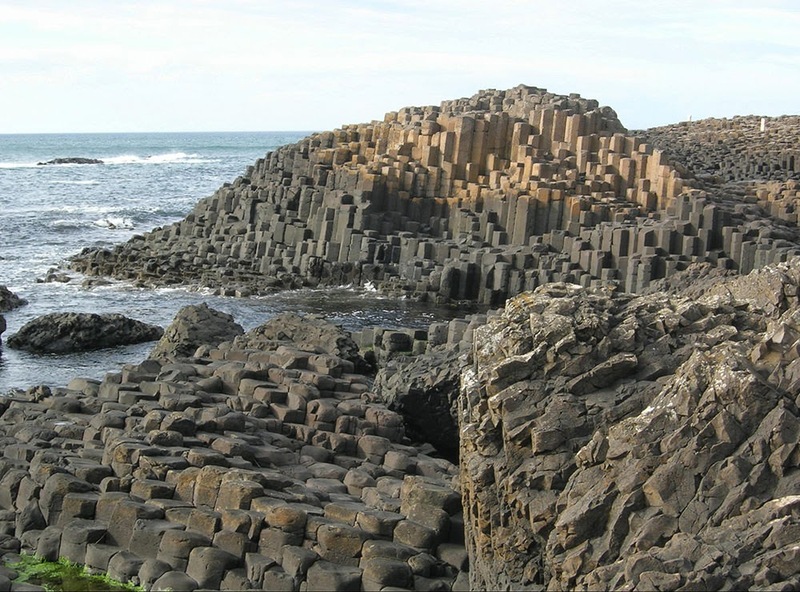 The idea that a super-species of giants could carve something like this, or sculpt the pieces and transport them to the location, has a certain appeal. But maybe that is too easy. So, the extra step in the process, so to speak, is the whys and wherefores of that colossal achievement. The idea behind the name is that it acts as a bridge toward something, but what? Perhaps there was something out there at one time that no longer exists. 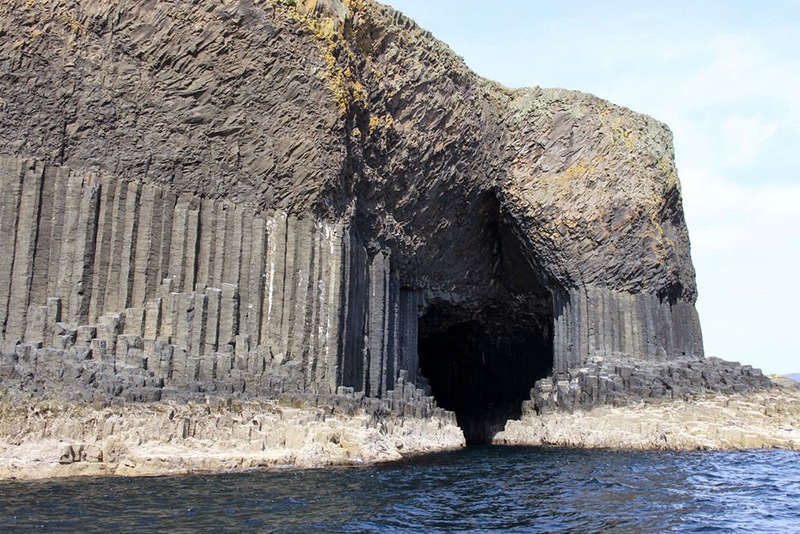 Could it have been a fortress that has sank into the sea? Maybe it was a place that no longer exists in this dimension? How about something that only appears in this dimension from time to time? I like the last one best so far. It's hard to look at this particular angle and not see a heart-shaped opening. Perhaps that can be worked into the legend. A map or instructions that guide someone to this place but specifically from the angle that forces that view or interpretation might be in order. This is also one of those places where seeing more of the photos associated with it gives further inspiration. You've got to check out a Google image search that includes interior photos here! I think most GMs of tabletop RPGs see any crater as explainable by a downed alien spacecraft. That's always fun. Another way to go,though, is to attribute the concave feature to something pulling the ground down from below. 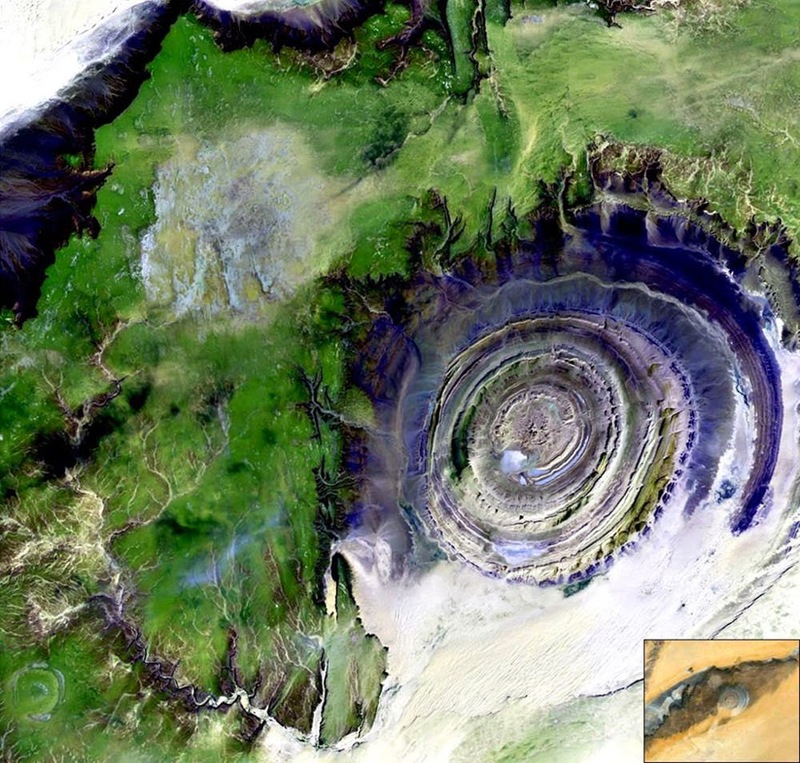 Maybe this crater gets deeper with each passing year all leading up to the coming of some gigantic creature or being that is revered in the local legends. Anyway, lots of ways to go, as always, and the rest of the photos should bring more and more ideas with each viewing. Again, they can be checked out more fully on Distractify.com here! 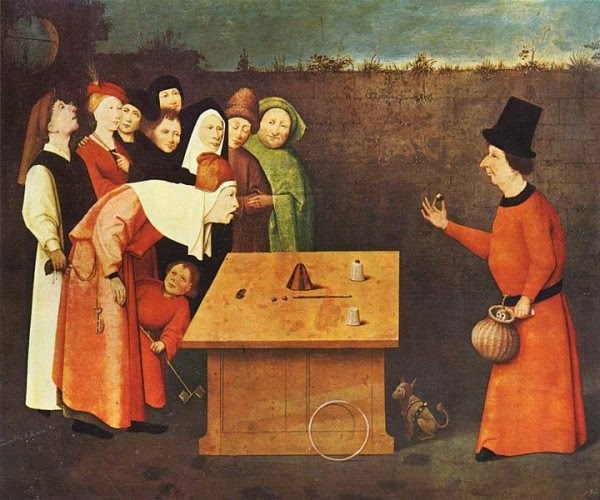 Over on the Medievalists.net website is a new article titled "Medieval Magic Tricks" which you can learn and perform or simply add to your Medieval Fantasy Tabletop RPG. See more here! Over on the Mirror.co.UK website, there is a recent article titled "Dead weird: After the 'atomic wedgie' here are 21 of history's most bizarre deaths" that got me thinking about how to start tabletop RPG scenarios. I think most of us have woven in the usual hooks: rescue the so-and-so, blah-blah-blah-treasure, yada-yada-tickle-tourney. Just me on the last one? Anyway, one of the fun ways I sometimes like to pique interest is to introduce a element so bizarre that the group feels compelled to investigate. Take the article mentioned above and linked here. Come on back after you glance it over. 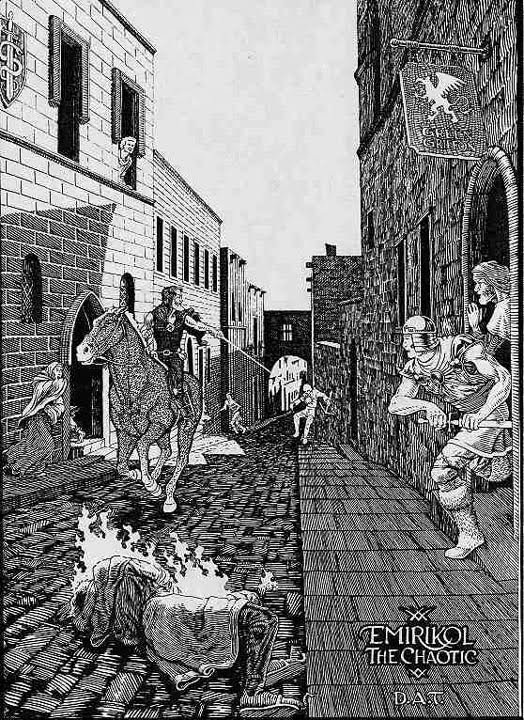 So, let's say you've got an RPG in most genres where the players are fresh into town and looking for some place of their own desire, often a tavern or outfitters of some kind, when as they are being given directions the local informant corrects himself and redirects them by another route. He apologizes and briefly explains that traffic is blocked over on such-and-such-a street because of the accident. It's a throwaway, a sidebar, that you can almost mumble because it would be amazing if the players aren't already hooked. 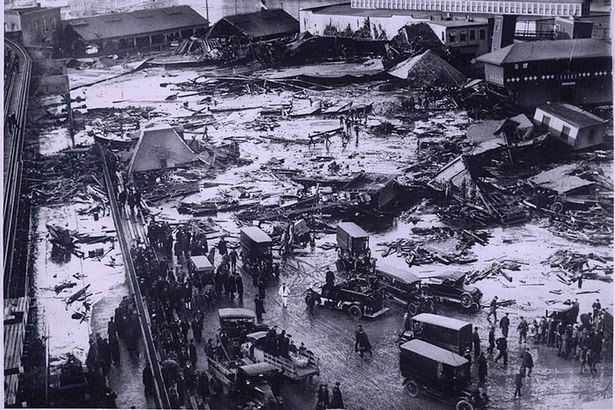 If they press for me info or you feel the need to add a little more, then explaining that several were killed in the molasses flood after the tank explosion might be enough to draw them in. Of course, now you have to come up with an adventure but certain using an explosion to cover up a murder is possible. Or a rival business destroys the tank, their methods being the work of some new evil which has bought a controlling interest. It could even just be collateral damage from something else being blown up, the mystery behind the mystery. It's all good if it's all fun. Over on the National Museum of Ireland website is a new feature titled "10 Unmissable Objects from the Clontarf 1014: Brian Boru and the Battle for Dublin." See more here! Gizmodo recently ran an article titled "Astronomers Discover First Direct Proof of the Big Bang Expansion" that might spur some ideas for setting creation or expansion, so to speak. Read more here! Thanks to the Shadows and Stone website, there is a captured view of the Spring Equinox at the Neolithic passage tomb at Loughcrew, Co. Meath. See more here! An article from late 2010 described how December 20th of that year was the darkest night in 500 years. Read more here! Over on Deviant Art, EotBeholder has posted "The Only Fantasy Map You'll Ever Need." See more here! One of the most fun aspects of creating the Fighting Fire - Ernie Gygax Benefit Adventure was creating the town of Gamington, a rather blatant analog for Lake Geneva. 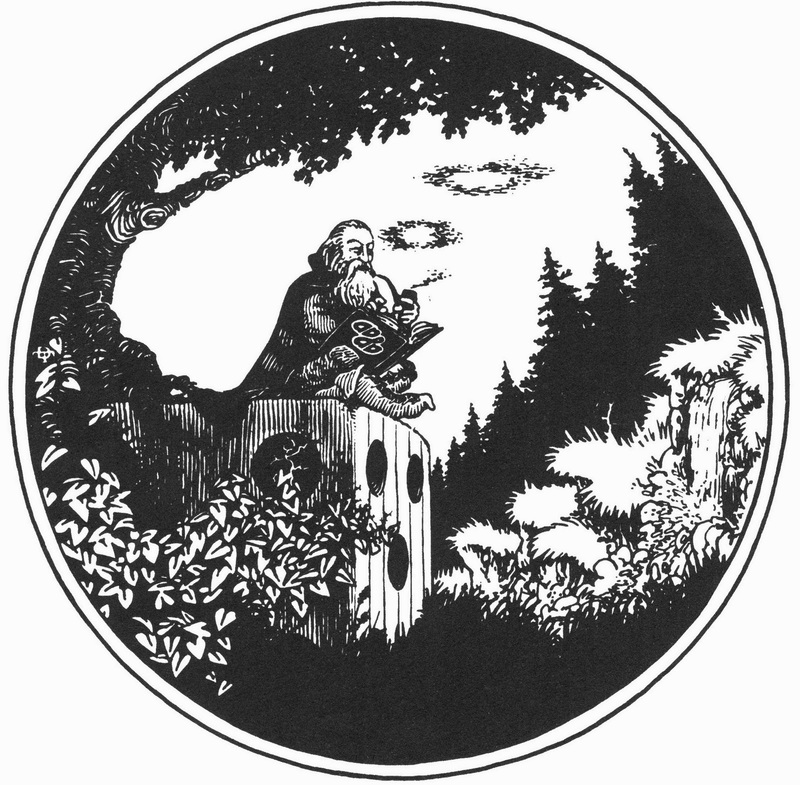 Of course the challenge is to populate it with places that would be fun to recognize as those belonging to friends and family of Ernie Gygax, and other gaming personas, while still ensuring their usefulness to the PCs embarking on the adventure. While Gamington is plenty fleshed out for the purposes of the adventure, there is a plan to do more with it. One idea is to put out a sourcebook with many, many details. The thinking there would be that GMs might wish to base a whole campaign in and around Gamington and the depth a sourcebook can provide would help facilitate that option. But maybe a simpler approach with just a bit more Gamington is enough for the time being. There will certainly be a bit more in the sequel to Fighting Fire, which is titled Cold, Cold Heart. But maybe there could be a way to detail it further between adventure releases. You can pick up your copy of this offering here on RPGNow.com or on Drive Thru RPG here! 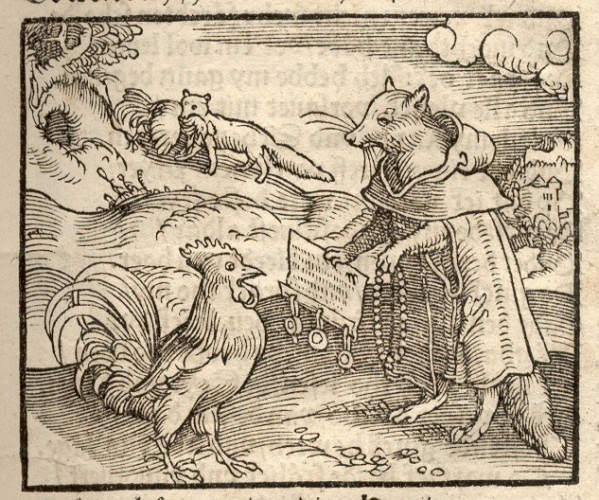 If you like a little intrigue in your Tabletop RPG setting, check out the recent Medievalist.net feature on "Espionage in the 16th century Mediterranean: Secret Diplomacy, Mediterranean Go-betweens and the Ottoman-Habsburg Rivalry." See more here! 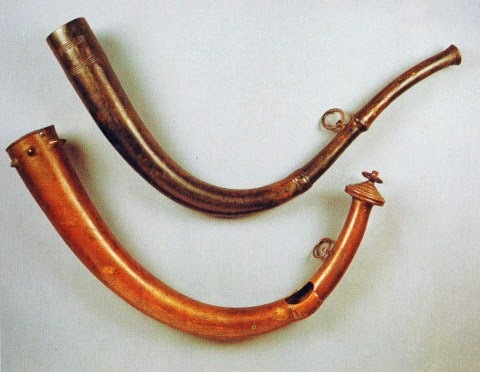 Over on the Irish Archaeology website is a recent article titled "Five Ancient Musical Instruments from Ireland." See more here! 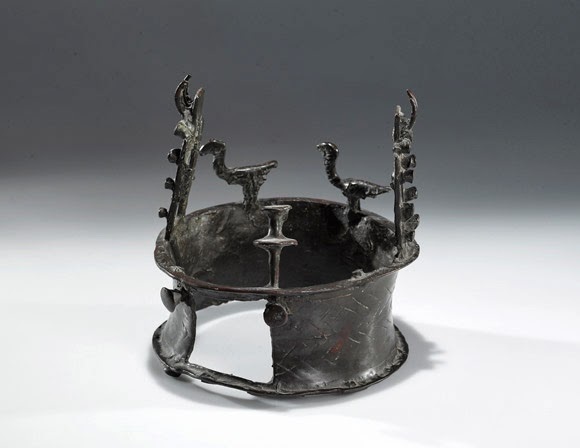 A recent New Yorker article features a late Neolithic crown. Read more here! 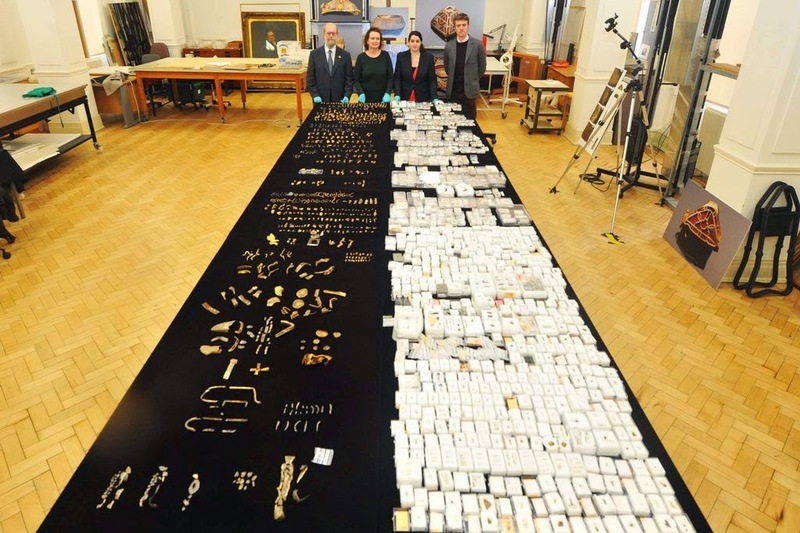 So, what would the Staffordshire Hoard look like all laid out in one place? Find out here on the birminghammail.co.uk website. Enjoy! 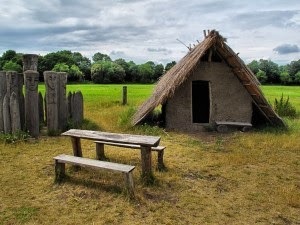 To find out more about "Fortified Settlements of the 9th and 10th Centuries" check out the latest feature on the Medievalists.net website here! The Medievalists.net website has a recent featured titled "How warm weather led to the rise of Genghis Khan." Read more here! 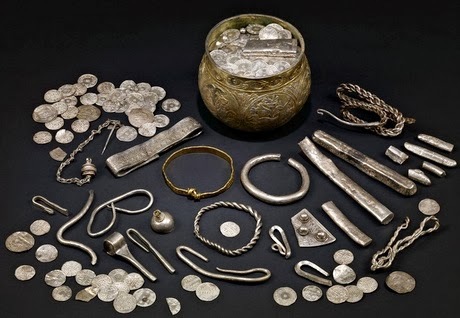 Over on the Raw Story website, a recent article is titled "Prehistoric grave-site could challenge our assumptions about the history of Bronze Age. Read more here! 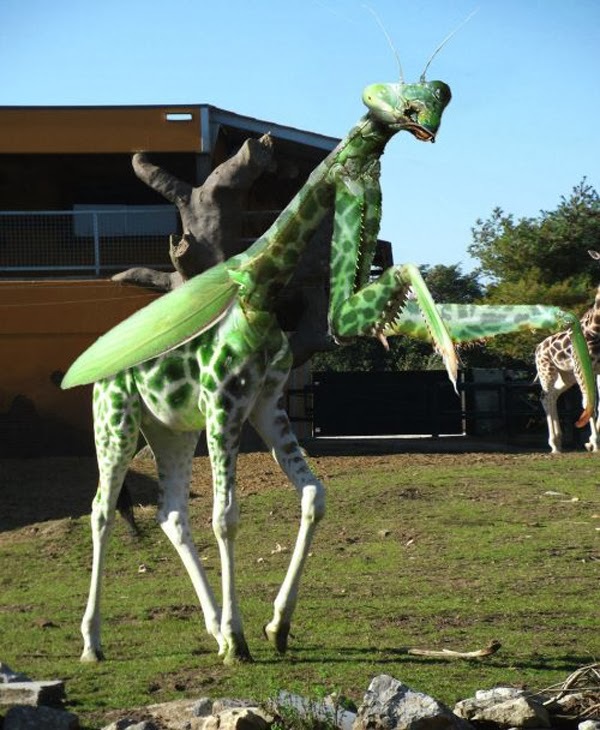 Viral Nova has a new pictorial titled "These 30 Animal Hybrids Will Blow Your Mind. Except #6… I Just Want To Hug That Thing." I've posted to articles like this in the past but this one definitely tops the others. Stat some of these creatures up to put in your table RPGs. See more here! 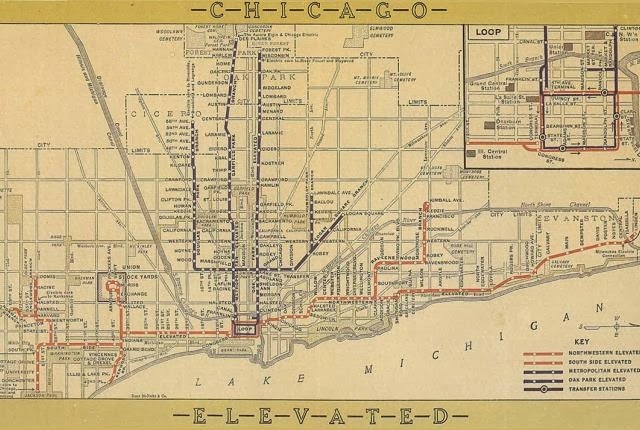 Over on the Mental Floss website, there is an interesting article on "How Chicago's Neighborhoods Got Their Names." Read more here! 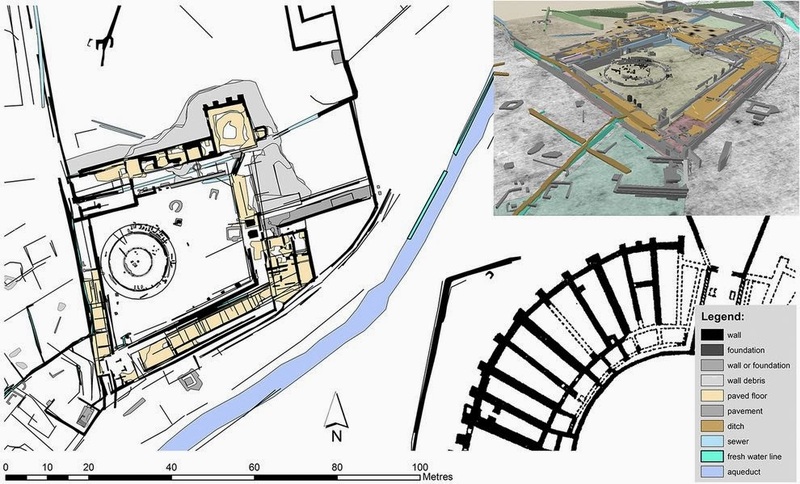 There is a recent article on ansamed.info titled "Archaeology: ancient Roman house found in Arezzo." It tells of the discovery of the Roman house as well as the discovered burial of a Medieval knight from about 1,000 years later. Read more here! The Guardian recently ran a pictorial article titled "A history of the Viking world – in 10 extraordinary objects." See more here! There is an interesting article featured on the Medievalists.net website titled "Cheating and Cheaters in German Romance and Epic, 1180-1225." Read more here! Over on the Medievalists.net website is a fun little article (with some cool videos and links to follow) titled "Five Things to Love About A Knight’s Tale." See more here! Over on News.NationalGeographic.com, there is a recent article titled "Gladiator School Discovery Reveals Hard Lives of Ancient Warriors" with the sub-title "Archaeologists have mapped an ancient gladiator school, where the famed warriors lived, trained, and fought." Read more here! National Geographic has uploaded a video (from last year) to their YouTube channel showing how sharks not only swim with their own kind but school with other types of sharks as well. Enjoy! 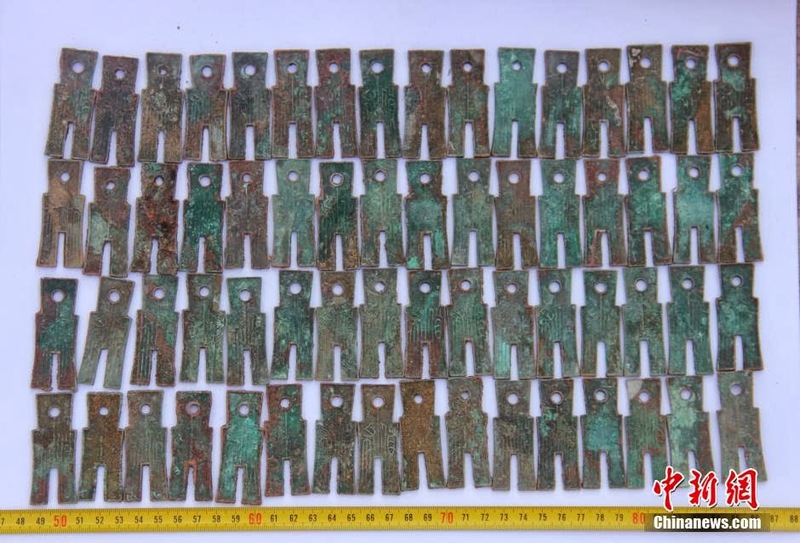 A pictorial over on PeopleDaily.com.CN features "Large numbers of ancient coins excavated in Inner Mongolia." See more here!